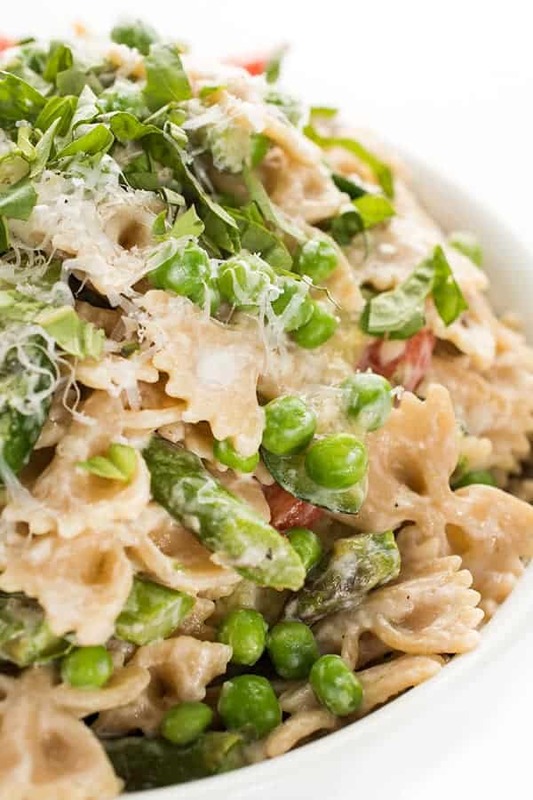 This pasta and beans recipe is an easy to make meal that is both favorable and filling. 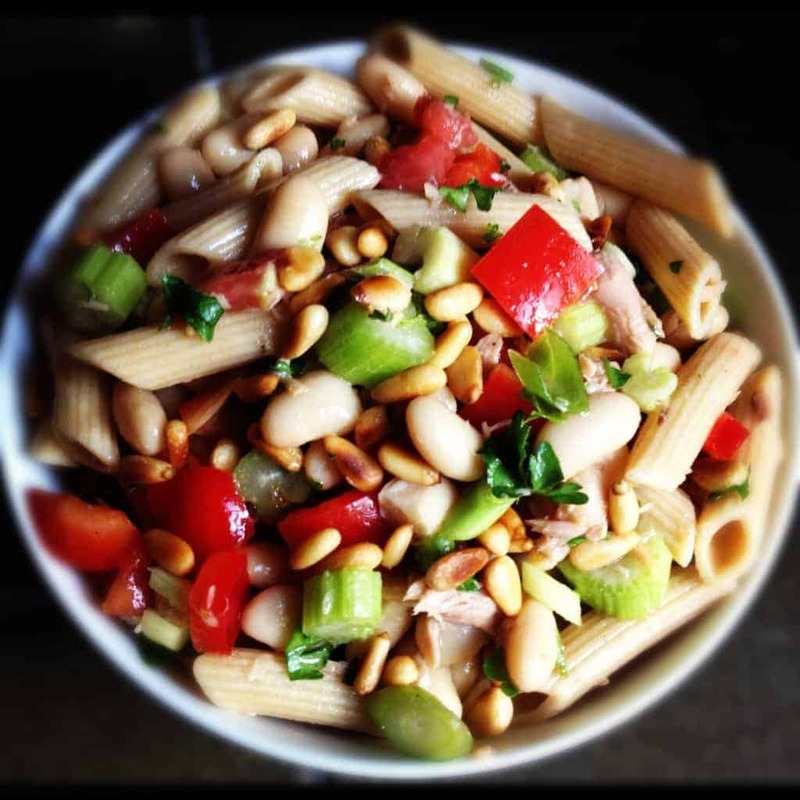 The beans and pasta give you a winning combination of both protein and carbohydrates. As my little guy nears his first birthday, it is becoming very clear that he is no longer interested in being spoon fed. Instead of mashing up bananas and sweet potatoes, he is much happier picking up little chunks that he can feed himself. Make Ahead: Cook once, eat all week long. Adult Friendly: If I don’t want to eat it, I don’t expect my baby to eat it either. 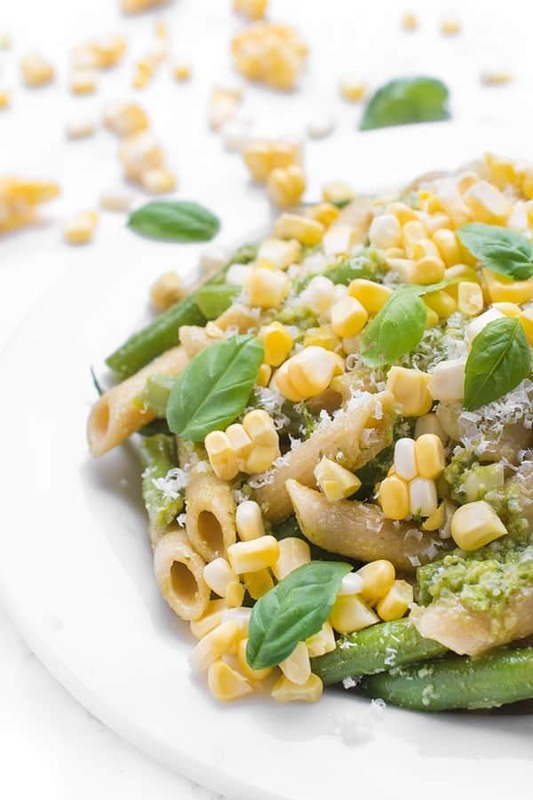 Protein + Fiber + Whole Grains + Healthy Fats: Beans, whole wheat pasta, veggies and olive oil make this dish a one-stop-shop for well-rounded nutrition. 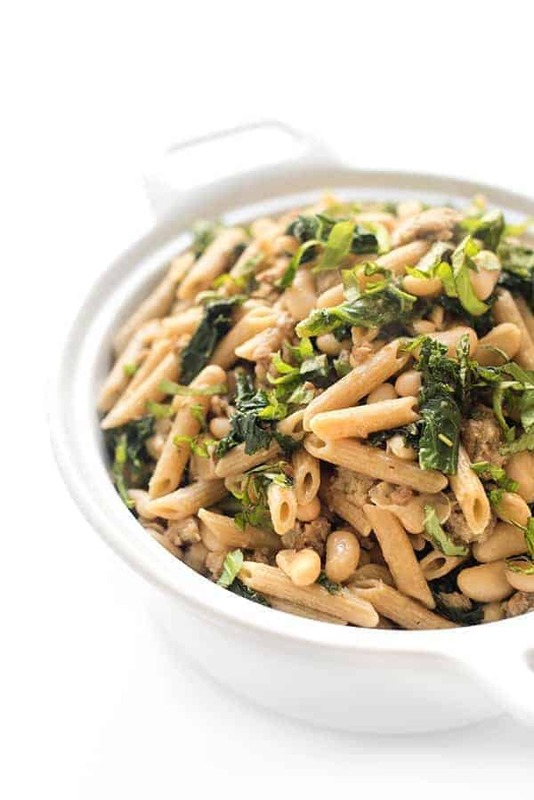 Bring a pot of salty water to a boil and add whole wheat pasta of choice. About a minute prior to the end of cooking time, add in the frozen veggies. Rinse and drain the beans in a mesh strainer over the sink. 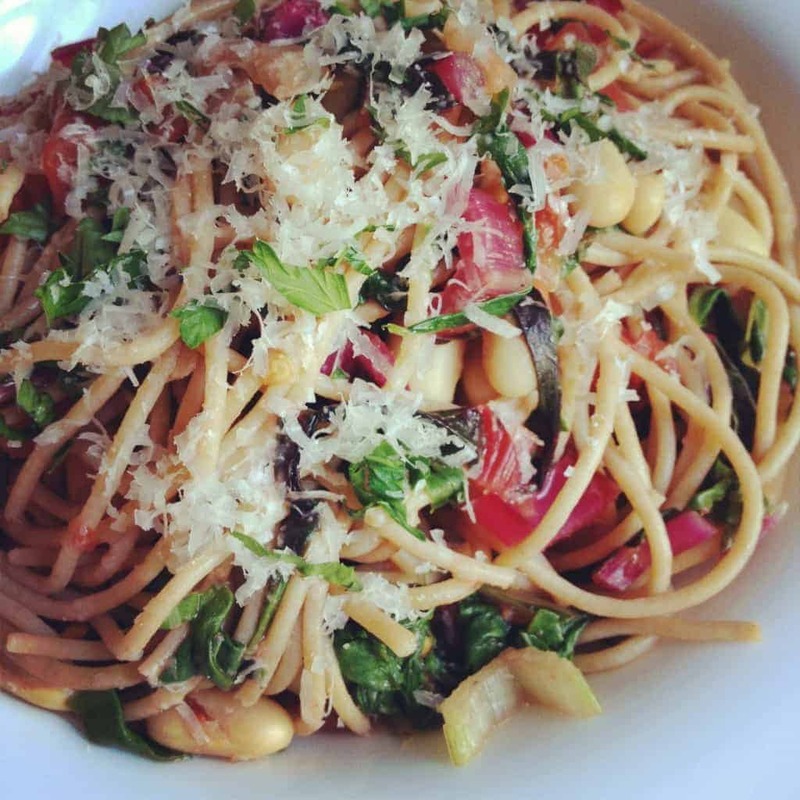 When pasta has finished cooking, drain in the same mesh strainer on top of the beans. Stir in cheese and check for seasoning. Add salt and pepper if needed. Oh this looks so good! I would love to have this as leftovers to eat for lunches! 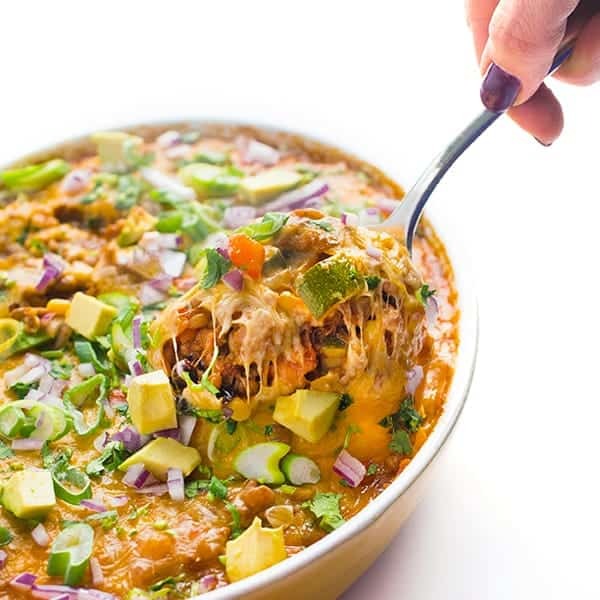 It’s so good and tastes great warm, cold or room temp! Let me know if you try it!